So you've all heard of Elf on The Shelf. No? OK, so it's this American thing (of course it is). It started as a storybook with an accompanying elf. The theory is that Santa needs to work out who's on the nice and naughty lists and so sends an elf to homes where he's not too sure which list the child should be on....the elves then keep an eye on the little darling before reporting back to Santa on Christmas Eve. 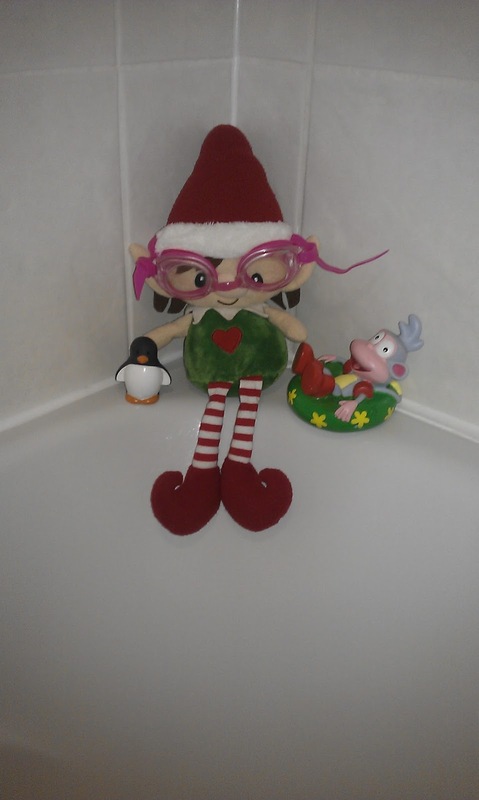 However, these elves are very cheeky and each night they get up to all sorts of mischief! Sounds good, right? We did this when Ella was 4 and she loved it. She was the right age to get the magic of Christmas without asking silly questions or suspecting too much. It's a good incentive to encourage them to behave in December as well as getting in the Christmas spirit. 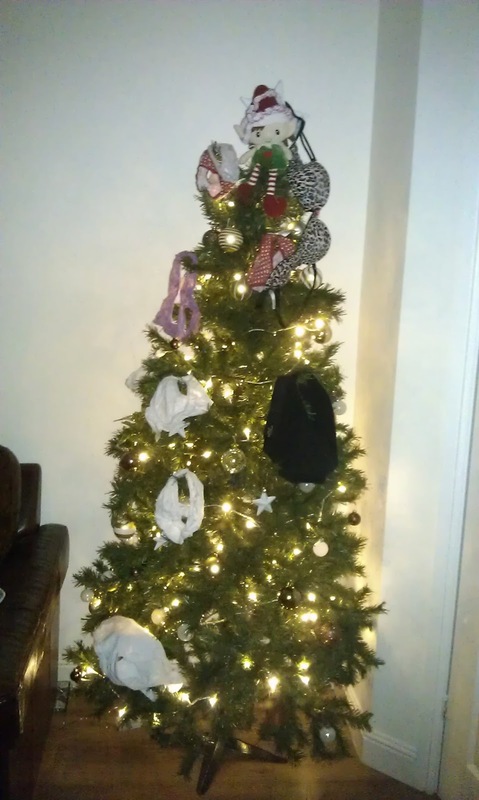 The downside, you have to think of something to do with the sodding elf every night before bed! If you want the real deal you can buy them online in the UK here. 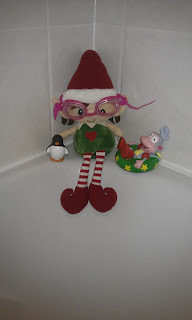 When we did the Elf on The Shelf we couldn't find them in the UK so bought a cute cuddly version from eBay. Here's my top 10 easy things to do with your Elf. 10. On Christmas Eve morning replace the Elf with a leaving gift- this could be some Christmas PJ's or a goodie box with hot chocolate, a Christmas DVD and some reindeer dust ready for that night. I made a little book of his visit where I printed photos of all the things he'd done during his stay.